Following the release of the third generation A6 saloon, Audi has taken the next logical step and followed it up with an Avant version. 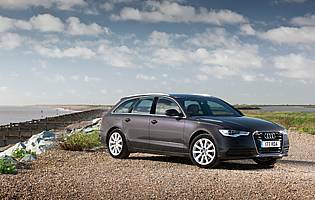 The estate or 'lifestyle' wagon version has always been a popular bodystyle, and Audi claims it is the best-selling vehicle of its type in this class. 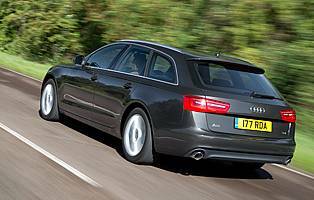 With the latest and previous generation A6 saloons following a very similar design approach, it should come as no surprise to find that the Avant model looks a good deal like its predecessor. This is no bad thing however, because the basic shape of the A6 lends itself well to carrying extra bulk around the back. It could be argued that the Avant is better-looking than the saloon, particularly in S Line specification with larger alloy wheels. Changes to the make-up of the bodyshell itself are just one method by which Audi has improved efficiency and fuel economy for the latest A6 Avant. 20 per cent of the body surface area is made up of aluminium panels, including the doors, bonnet and bootlid, while high-strength steels are used in the chassis to give strength without a weight penalty. Some models are up to 80kg lighter than the previous equivalent versions. Mechanically the A6 Avant follows a template familiar from the previous car, with a mix of petrol and diesel options driving the front or all four wheels through a choice of gearboxes. Most importantly to the UK market is the choice of three diesel options, all of which have improved fuel economy by as much as 19%. A range of energy efficiency systems are now included on the A6, with a stop/start system standard on every engine variant. The A6 Avant also benefits from a vast range of safety system and infotainment options, many of which have already been introduced on the larger A8 saloon. All A6 Avant models come with satellite navigation as standard, while upgraded versions can include a Google search facility and the ability to use the car as a wireless Internet hotspot. 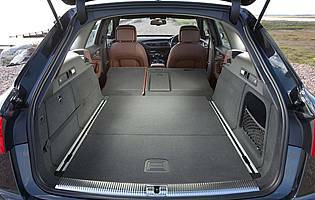 Steady and detailed improvements to both the basic A6 make up and the Avant version itself result in a premium load carrier that is hugely competent, refined and desirable. The broad spread of engine and transmission options gives something for every budget and need, and it still has the space to make the simple task of carrying big loads a cinch.